If you’re a nurse working in emergency medicine, you will inevitably encounter at least one pediatric code. They’re scary, and sadly, the prognosis isn’t always good for those patients. Delays in providing basic ABCs — airway, breathing, and circulation — to these patients can make a massive difference in the likelihood of adverse outcomes such as non-survival or permanent brain damage. 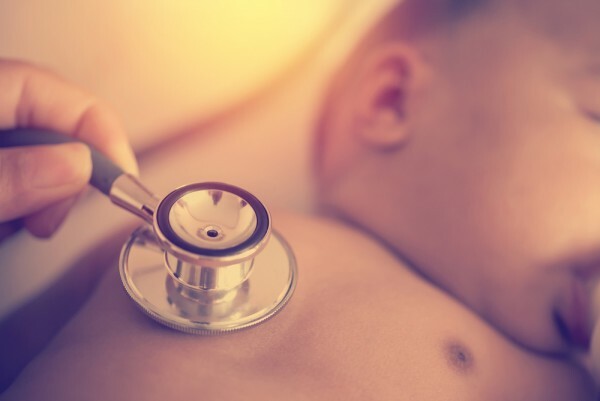 When a pediatric code occurs in a non-critical-care healthcare setting, it is even more important that action is taken as quickly as possible to ensure a good outcome. Tragically, pediatric code patients have an average of a 27% chance of survival after experiencing an in-hospital cardiopulmonary arrest. 34% of survivors experience permanent brain damage that results in neurological deficits. A fast response is absolutely crucial to a positive outcome after a pediatric code event. This is important for nurses because studies have found that in many cases, staff nurses in non-critical care units tend to focus on preparing a room for a code team, rather than immediately initiating basic life support care. There’s also the issue that CPA is more rare in pediatric patients than in adults. Many nurses and physicians have limited firsthand experience with it. Around 16,000 pediatric patients suffer from cardiopulmonary arrest each year. It’s a rare occurrence, but the effects can be devastating. Children have higher metabolic needs and more cerebral blood flow than adults, and for the developing brain, prolonged oxygen deprivation can have serious long-term consequences. It can be divided into four phases: the pre-arrest phase, no-flow, low flow, and post-resuscitation. The pre-arrest phase can consist of environmental risk factors or underlying pathology. In asphyxial cardiac arrest, there is a progressive decline in cardiac function due to factors like hypoxemia, acidosis, hypercarbia, or hypotension. Subsequently, cardiac activity ceases altogether. The no-flow phase is when CA has begun but has not been treated. In many cases, pediatric CPA that occurs outside of a hospital setting is not witnessed, or lay bystanders don’t recognize it for what it is. CPR from a bystander can increase the chances of survival, but this only occurs in one-third of cases. After CPR is initiated, the pediatric patient enters the low-flow phase, where chest compressions and ventilation provide cerebral and coronary perfusion. Post-resuscitation care needs to focus on minimizing nervous system damage. Post-CA syndrome is experienced in a majority of patients, and brain injury is a significant cause of mortality and morbidity in the wake of cardiac arrest in pediatric patients.